What is the ‘Transition’ process? ‘Transition’ describes practical changes we can make, both as individuals and in our communities, to cope with the twin challenges of climate change and the end of cheap oil. The word ‘Transition’ refers to moving from being heavily dependent on fossil fuels, to being more resilient in a future of reduced energy supplies and changed climate. The aim is to address and adapt to the problems, rather than ignoring them until it’s too late; we hope to ride the wave rather than being engulfed by it. 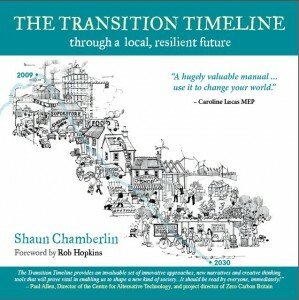 Transition Initiatives are the network of villages, towns and cities around the country and now the world who have signed up to the transition process. The UK alone has over 200 official Transition groups and over 600 groups working towards official recognition. The movement started in Kinsale in Ireland, with the work permaculture designer Rob Hopkins undertook with his students. It spread to Totnes, Devon in 2005 from where the Transition Network developed. Transition Initiatives help communities prepare themselves for the challenges ahead. Climate Change and Peak Oil are already contributing to rising energy and food costs, increased flooding and changes to our natural environment. Worcester has an active transition group that is working towards official recognition. We have a number of sub groups addressing sustainability issues such as energy, food and transport. Group members belong to one or more working groups. Transition Worcester consists entirely of volunteers and we are an independent organisation, not affiliated to any other groups or political parties. We run a varied programme of events which are open to everyone. These include practical projects, talks, film screenings and workshops for learning new skills. We aim to create a future based on local food production, decreased energy use, sustainable transport, resilient local economies and a closer knit community. This is effectively an energy descent plan for our community. We are in the first stages of this exciting and important project and in order for it to work we need as many people as possible to come along and get involved. We hope to see you soon!